Welcome to Under The Downs – the website of the churches of St Catherine of Siena, serving Cocking with West Lavington, St James in Heyshott and St Mary, Bepton. 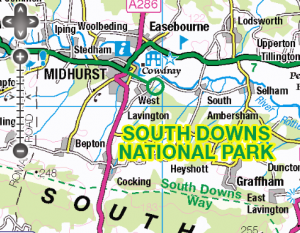 Our villages lie just north of the South Downs from Chichester and close to the market town of Midhurst. Originally 4 separate Parishes, we are now united as one benefice and, after the Church of St Mary Magdalene sadly closed in 2008, the 4 villages now share their 3 churches with regular services held across the benefice. The 3 churches are open during daylight hours and we welcome all visitors, including regular worshippers, those who just wish to attend the occasional service, history -lovers who will enjoy our old buildings and ramblers who need a well-earned break! All 3 churches are available for baptisms, weddings, blessings, funerals and memorial services. Linda Robertson joined the benefice in 2015. 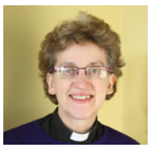 She was ordained priest in the Diocese of Winchester in 2004 and has been a non-stipendiary (i.e. unpaid) team vicar in the Totton Team Ministry with responsibility for St Mary the Virgin Eling since 2010. She was from 2004 until now employed as an academic and research librarian at the University of Southampton. During that time up to 2010, Linda was a curate and later assistant priest taking responsibility for two churches during an interregnum. Before this, Linda was a primary school headteacher, having held several other teaching posts since 1987. Linda’s first degree was obtained at Somerville College in Oxford in Natural Science– Physics followed by an MSc in Medical Physics in Aberdeen. After a spell as librarian at the University of Aberdeen she became a full time mother before starting in teaching. Linda’s interests are wide and include having been active for many years with the Samaritans, having board membership of the charity Share the Vision concerned with library access for visually impaired people and with an interest in accessibility issues in general. In her spare time, Linda is now studying for another Master’s degree in Family and Local History with the University of Dundee – fortunately this is a distance learning course! Our lovely country churches are in demand for baptisms (christenings) and funerals. If you have a connection with any of our villages, or whether they have just inspired you as you explored the South Downs, we can help you for those times in life when family and friends come together to share joy (and sometimes sorrow). To find out more, contact Linda the Rector.